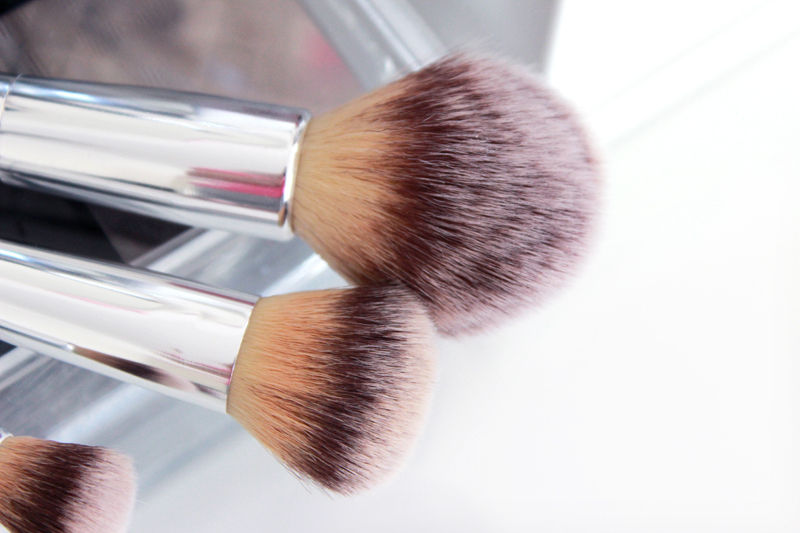 If you've been reading this blog for a while then you'll know that I'm a bit of a brush fanatic. I have so many that it takes me quite a long time to clean them all when I'm giving them a deep cleanse - to the extent that I grab my laptop and watch YouTube videos or series as I wash them. Not that that has held me back from purchasing this particular brush set I had my eyes on when I was in the US a few months ago.. Oops. In my defence: YouTube made me do it. Whenever overseas YouTubers rave about products that aren't available here, there's this little voice inside of me that seems to speak ten times louder than that other voice that talks about products that are just readily available here. 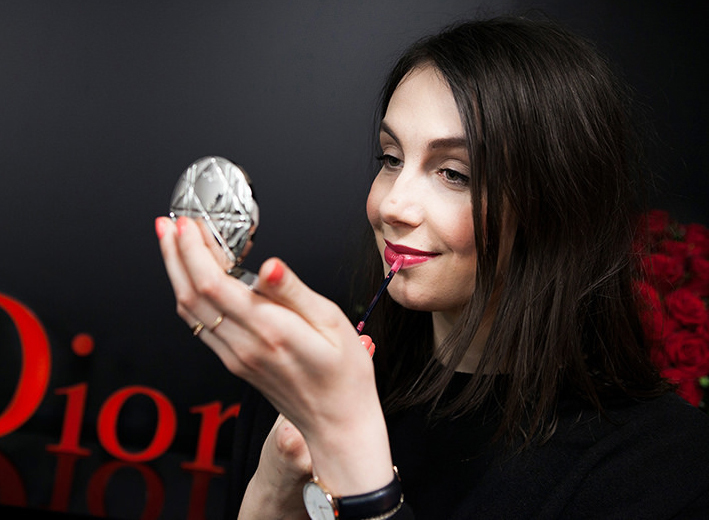 And that's exactly what happened when I saw Tati talk about the It Cosmetics brush range. I did a little research and found this "Your Beautiful Basics Airbrush 101 5 Piece Getting Started Brush Set" that seemed the perfect first venture into the brush range of this brand. So when I was at an Ulta in New Jersey and saw this set sitting in the shelf.. I knew what to do. 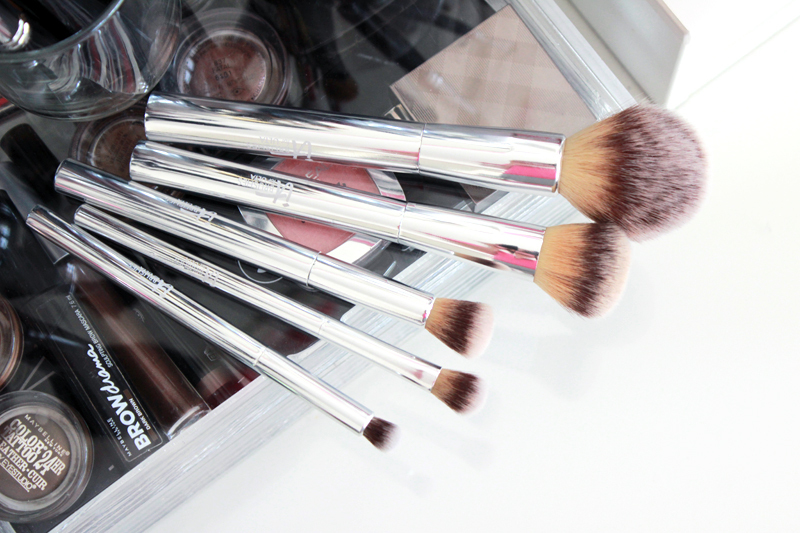 This particular brush set is exclusive to American drugstore Ulta - you won't find it anywhere else. 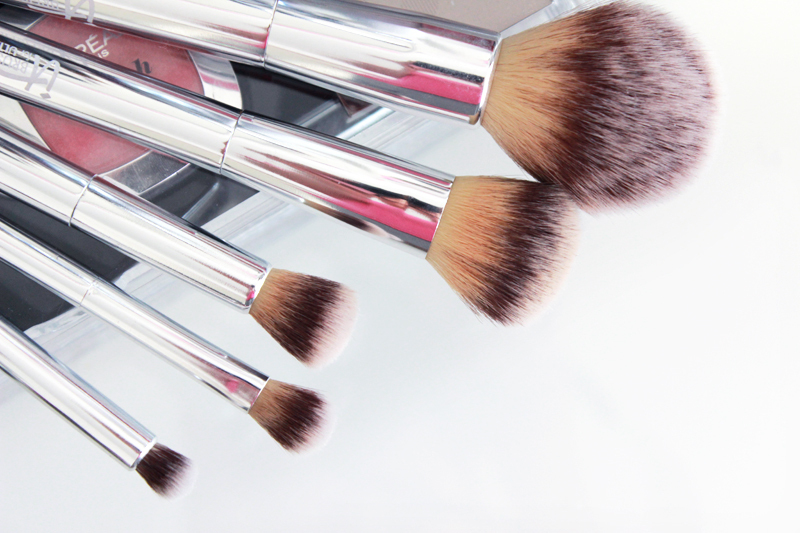 There are a few special brushes & brush sets that It Cosmetics has created exclusively for Ulta. You can find the Ulta logo on the handle. The brush handles are quite light - I wasn't really expecting this, but it feels like the brush handles are hollow. It doesn't really bother me though and I don't even notice it anymore, but this probably is one of the reasons why the sets are priced just a little higher than some of the single brushes. While this might give away that these brush sets are priced much more budget friendly than the regular single brushes, the overall quality of the bristles, cut of the bristles and density of the bristles is absolutely perfect. 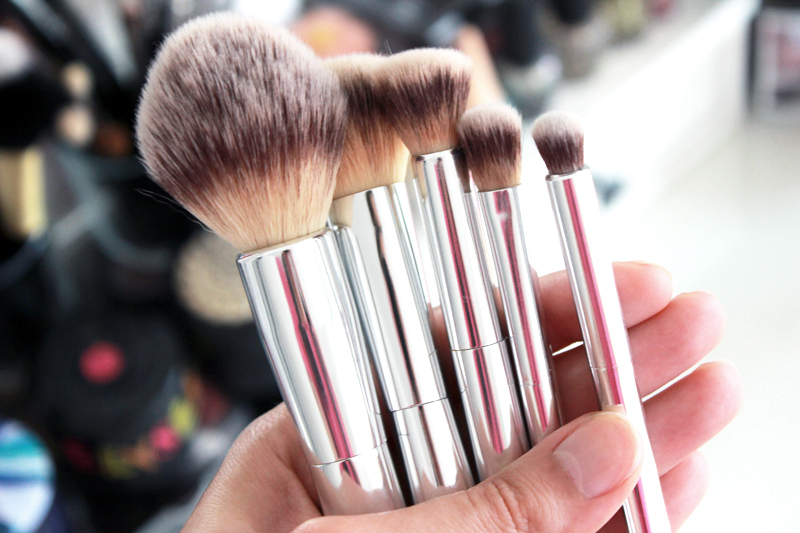 I have been using all brushes in this set for the past few months and they don't shed, keep their shape and remain soft even after several deep cleanses. In the set you'll find five brushes: the Airbrush Powder brush which is the largest of the set and has a dome shaped head, the Airbrush Foundation brush which is a fluffy rounded brush, the Airbrush Concealer brush which is similar in shape to the foundation brush but smaller in size, the Airbrush Shadow which is small with a shape designed especially for the eye area & the Airbrush Crease which has a narrow tapered head designed to fit into the eye crease. My favourites so far have been the powder, foundation & concealer brush, although the eyeshadow brushes do their job perfectly too. The brushes come in a black shiny pouch that might come in handy for traveling, although truth be told I haven't really used it since unboxing this set. I might have a makeup pouch or two too many as it is.. The verdict? I am smitten with the It Cosmetics brushes and I can't wait to try more! I have a big powder brush that needs replacement and I have my eyes set on this huge all over powder brush from the Live Beauty Fully range (love that name!) in collaboration with Ulta. 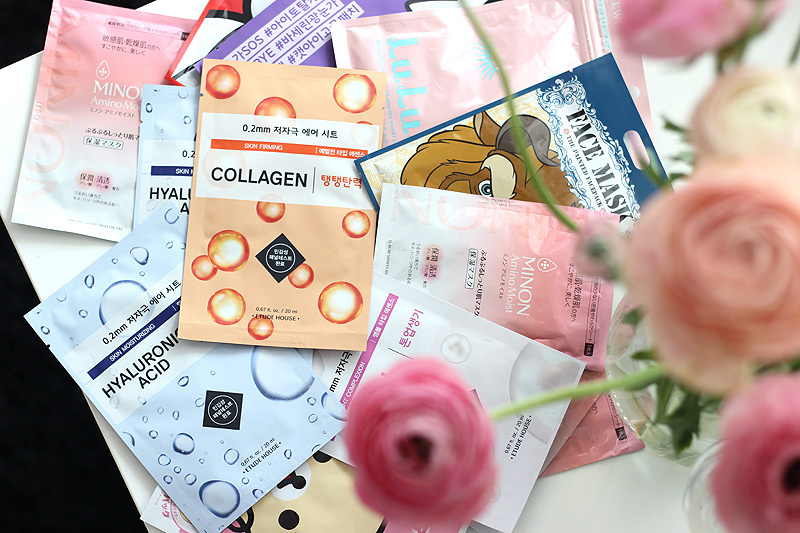 I wasn't ready to make the splurge during our last visit as I had no personal experience with the It Cosmetics brand before, but now that I do I definitely won't hesitate! Now all there's left is planning the next trip to the US..